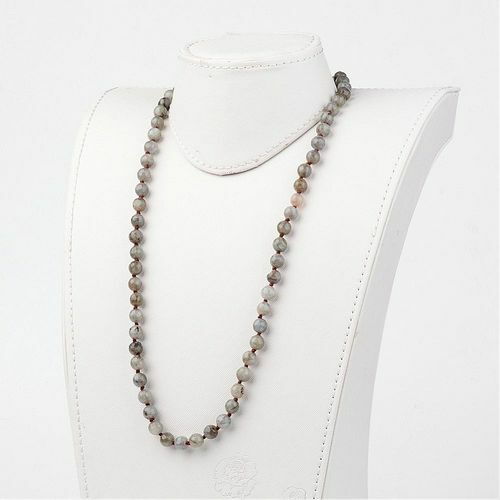 Gorgeous knotted 8mm faceted labradorite semi-precious gemstone beads in a 35.4 inch continuous loop with no clasp. 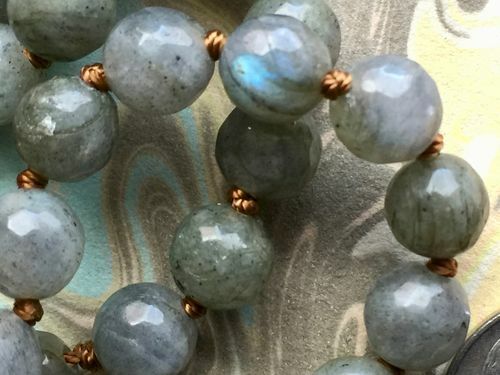 There are approximately 94-8mm labradorite beads on the strand which are separated by a tiny brown silk knot. 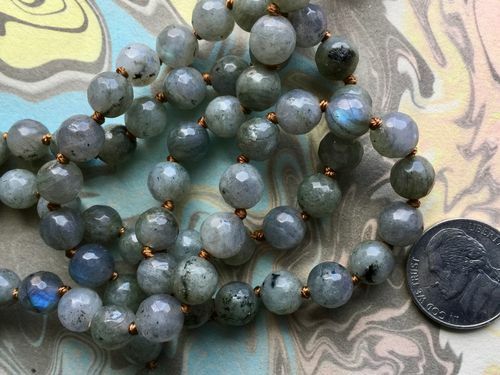 Labradorite is believed to have healing properties and is sometimes referred to as the stone of transformation. 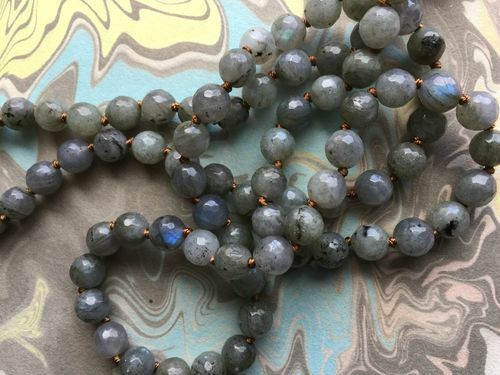 Labradorite can be a useful companion during life's transitions. 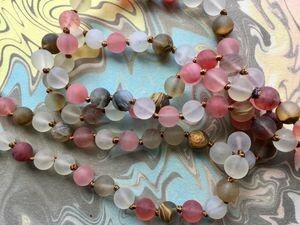 It is one of the stones believed to ground spiritual energies and enhance intuition. 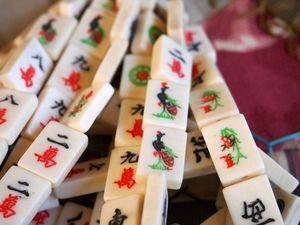 It is ready for you to add your own pendant, charm or amulet. Our brass or silver eye in hand pendants look wonderful with this necklace.